We carry dive gear from the major scuba equipment manufacturers and we have an onsite authorized service center for many dive companies. 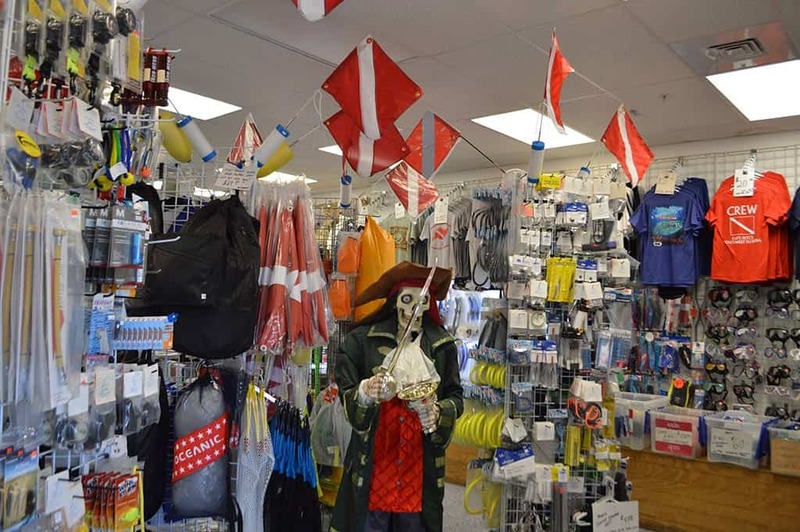 We have a huge selection of dive equipment as well as all of the accessories you need to enjoy your dive. Wetsuits, dive skins, t-shirts, hats, dive jewelry — you name it and you will find it at Capt. Pete’s Diving Outfitters. We stock most hardware (Regulators, B.C.D.s, Computers) models from AQUA LUNG and MARES. We carry all the best mask, fins and snorkels from AQUA LUNG, MARES, DEEP SEE, OCEANIC, and TUSA. We also have many budget friendly off-brands. Be in style with the latest dive designs . Tons of t-shirts, hats, and uv blocking rash guards. 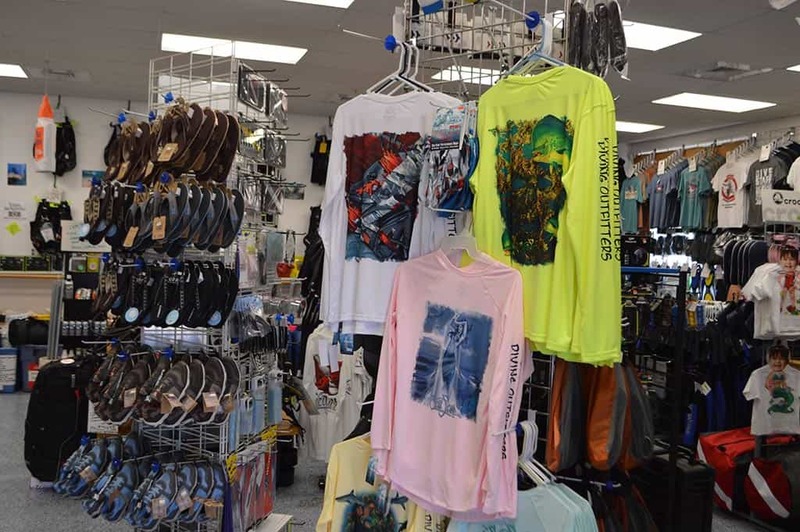 We carry many of the popular diving adventure wear as well as many of our own unique designs. Tropical wear to suit every diver can be found on our shelves and you can cover your feet with our comfortable sandals and water shoes. If you’re looking for a great gift for that special diver, a dive watch is just the ticket. Lots of dive lights and knives. Clips, straps, stickers, key chains are just the tip of the iceberg. Stop in and plan to spend some time browsing through our variety of choices. Don’t forget to grab that bottle of mask defog on your way out the door. Florida’s Gulf Coast offers some great Spearfishing opportunities. We are ready to outfit you for your big hunt! We stock spearguns and related equipment from Koah, A.B. Biller, Mares, and JBL. 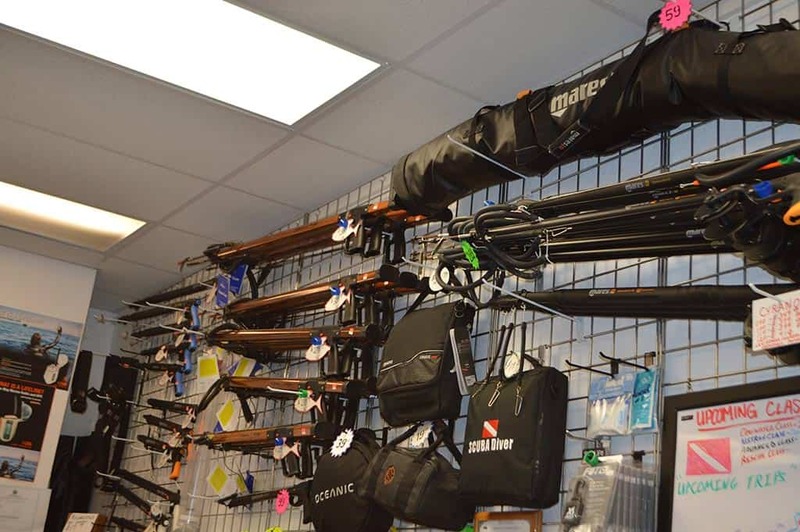 We also carry pole spears, Hawaiian slings, catch bags and more! If you are looking for cameras and housings for underwater video or still photography, we’ve got you covered. Sealife Cameras found here. We’ve even got the Pelican and U.K. cases to carry your valuable camera equipment. 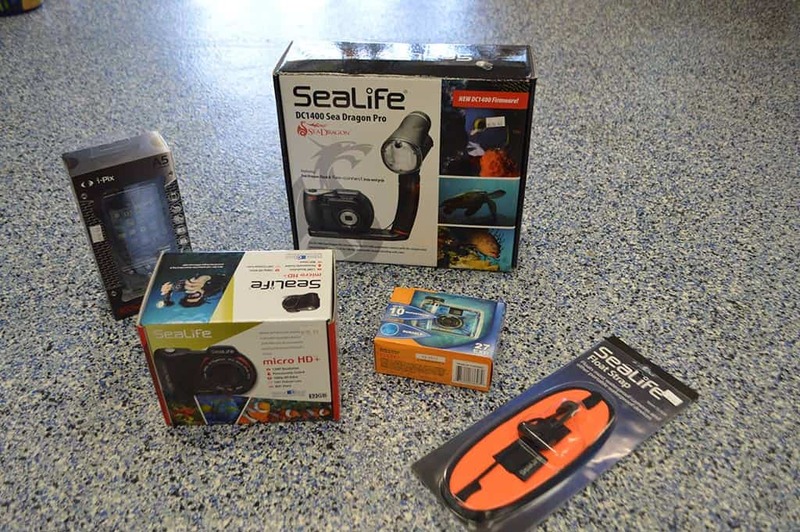 Stop in and see some of our underwater photos and get started with your photography adventure.